Before exploring Change, let me begin with a strongly affiliated topic – Motivation. There are finally only two reasons why people are motivated. Either it is the excitement about something, or the fear of something. Assuming a person needs some kind of motivation to change – himself, his environment, an organization – strictly speaking we are either changing out of fear, or excitement. When we refer to fear, one must know that there are basically three kinds of fear. The first is fear of failure, the second fear of success, and the third – and often refered to as most common fear of all – is the fear of change. So, while on one hand fear is one of our most basic motivators, the fear of change itself, on the other hand, is deeply hidden within all of us. „Unless the crisis is acute, it’s hard to make anything happen“ is a quote some of you might already have heard in their career. Meaning that the fear (of failure) fired by a crisis needs to overcome the threshold of the internal fear of change. A “motivational” circle probably not many want to get caught in, yet it seems to be quite common in today´s organizational environment. The 2012 Gallup Institute „Employee Engagement Index“ study for Germany reports the share of highly motivated employees as low as 15%, 61% are executing work-to-rule, and as much as 24% already have quietly resigned. 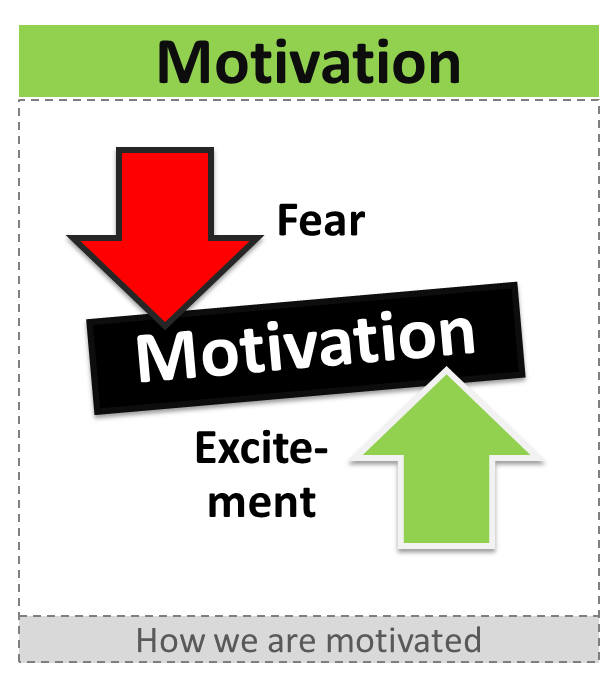 The “highly motivated” cluster in this study I assume relates to the excitement part of motivation, that related to the fear part I would assume being employees of the latter two categories. If you solely depend on the external driven crisis–fear of failure–based change, this not only negatively affects the people involved as such (health, family, social interactions etc. ), it also means that change is forced to be done in an urgent-chaotic-nothing to lose environment, and therefore bearing the risk of either overdoing it, or missing to implement the solutions really needed. When asking why organizations are dealing so poorly with change, we therefore should rather ask why they are dealing so poorly with motivating there employees based on excitement. 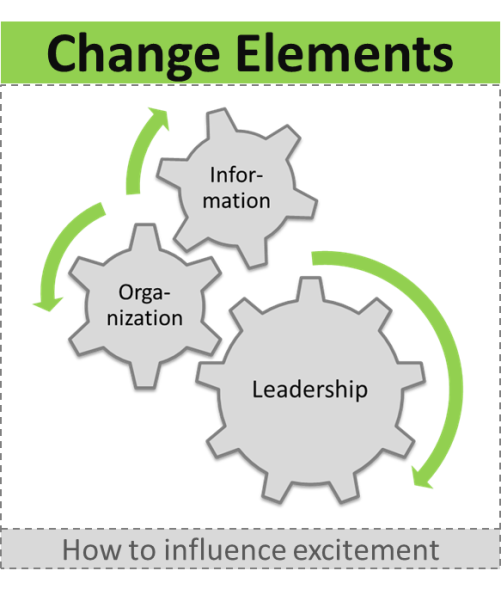 In my opinion, the answers lie within three fundamental elements: The Leadership, The Organizational Structure and The Exchange of Information. Join me in exploring those elements with three consecutive essays being released until mid of December as part of the #blog2change Initiative. Stay tuned!